Clement’s Bridge, ca. 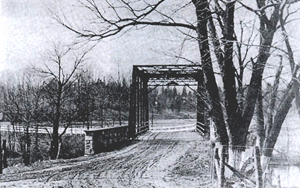 1920, looking west toward Deptford. 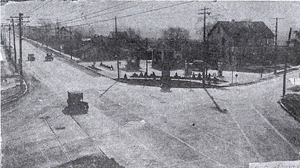 The intersection looking south as it appeared in 1929. The first police station on the pike is to the left of the gas station, Teall’s Runnemede Hotel is to the right of the gas station. John Ashbrook was the first settler in Runnemede. 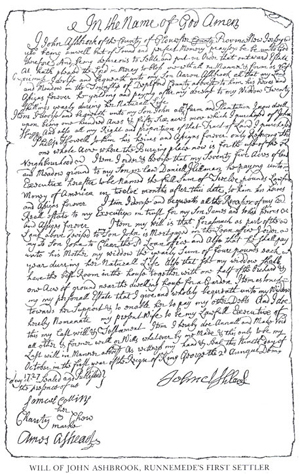 The Will is dated October 9, 1727.